Do you like scavenger hunts? If you have a smartphone, grab the geocaching app and get ready for an adventurous afternoon! My sons and I have done this in the past and it is so much fun. 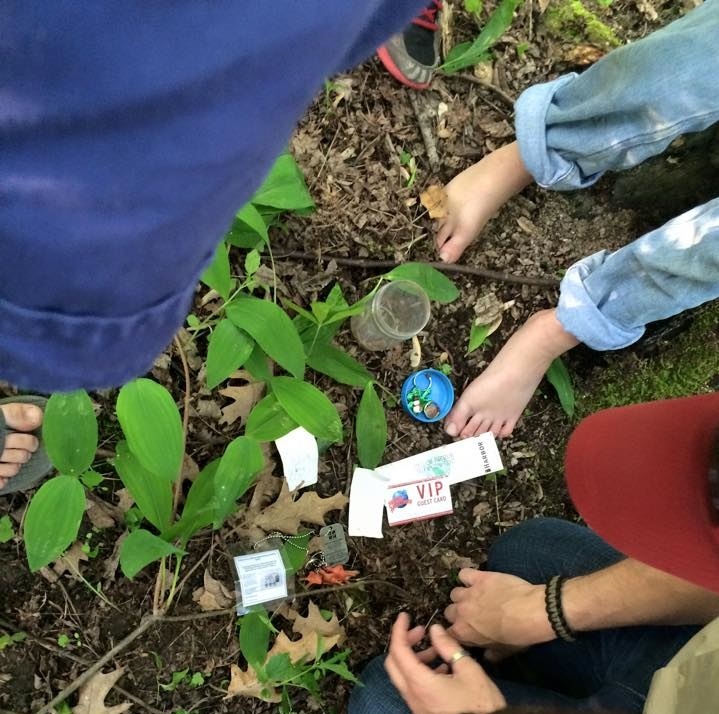 This past week our boy scout group went on a geocache hunt. It took us a little while to finally find it but I think that is what makes it so much more fun! Sadly for the boys the “treasure” in this one was pretty lame, but we are meeting again next week to create our own cache to fill with goodies and hide for others. My advice if you are searching for one in nature is to wear long pants and sleeves if it’s not too warm and bring plenty of bug spray. Even with our bug spray we all gotten bitten pretty good. No fun! But I think the boys all enjoyed themselves too much to be too bothered by it. 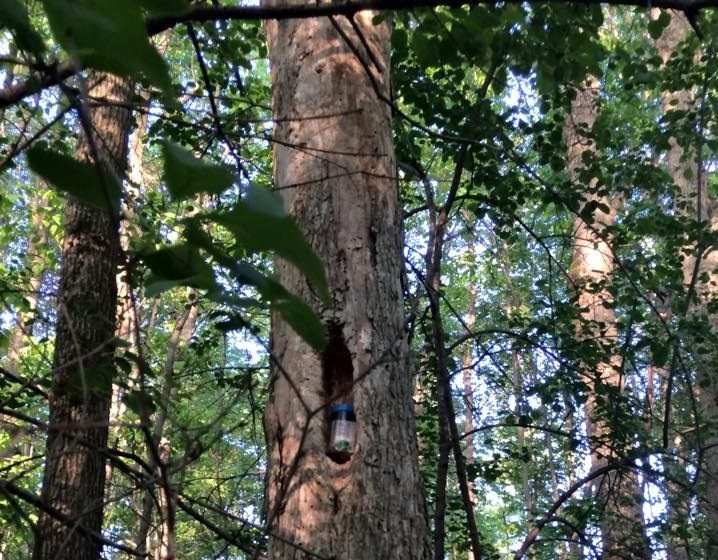 The basic rules with geocaches are to leave them exactly where you found them and usually there is something inside that you can take with you, if you do that it is expected and courteous to leave something in exchange. Also caches often have a logbook to sign, please do! It is a lot of fun for the person who left it to see how many people have found their package. Another fun activity is letterboxing, very similar but I will save that post for another day. I am going to see if there are any hidden around our area and set off to find them with my boys first. Here are a couple of photos from our boy scout hunt!